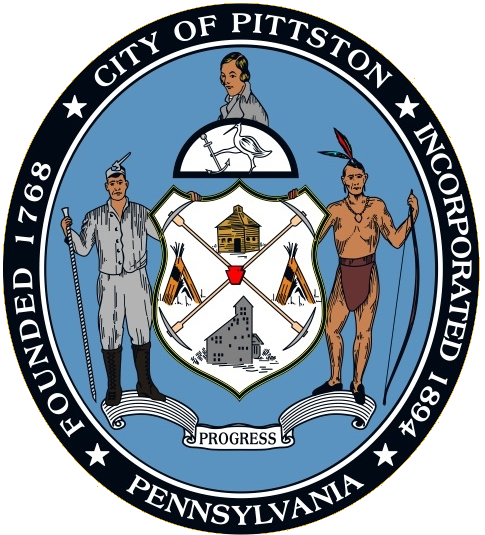 Pittston is located in the heart of Pennsylvania’s Anthracite Coal Region. 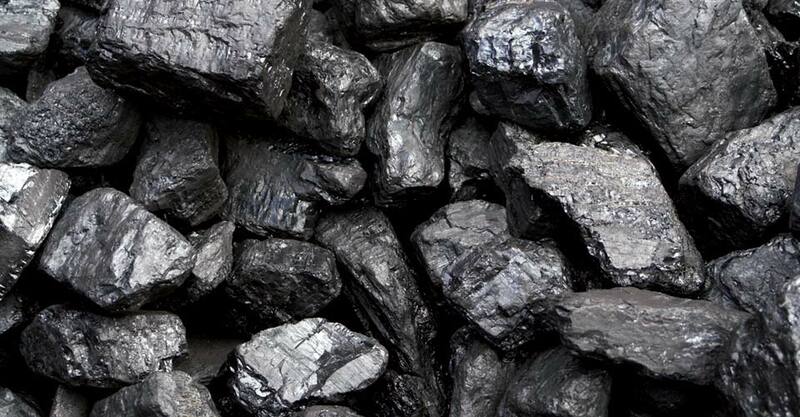 The first discovery of anthracite coal in the Wyoming Valley occurred around 1770 while the first mine was established in 1775 near Pittston. Prior to the expansion of the railroads, canals were the only way coal could be transported. Designed to transport the coal that fueled the industrial revolution, these “anthracite canals” played a crucial role in the development of Northeastern Pennsylvania and the City of Pittston. From 1834 until the end of the Civil War, the Wyoming Valley’s anthracite typically headed south to Baltimore and Philadelphia . With the completion of the North Branch Extension Canal from Pittston to New York State in 1858, the Wyoming Valley’s coal was able to move, at 1.5 to 3 miles per hour in large, heavy barges pulled by mules, north into New York state and New England. Being located on the banks of the Susquehanna River and along the canals that moved coal both North and South, Pittston became an important link in the coal industry. Money made through the mining and transportation of coal led some of the leading merchants in Pittston to petition its separation from Pittston Township. This was achieved in 1853 with the creation of the Borough of Pittston under Burgess John Hosie. In response to the anthracite coal mining, Pittston also became an active railroad center. 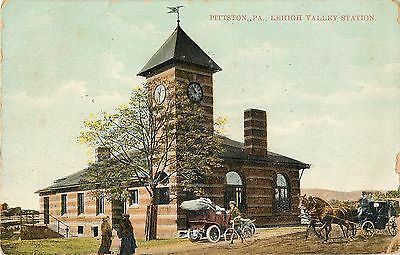 The Lehigh Valley Railroad maintained a beautiful station in downtown Pittston, near the foot of the Water Street Bridge. Sadly, the station did not survive the urban renewal of the 1960s; it was demolished in 1964. Pittston also had a station on the historic Lackawanna and Wyoming Valley Railroad, commonly known as the Laurel Line. Both the anthracite and railroad industry attracted thousands of immigrants, making Pittston a true melting pot with once-distinct ethnic and class neighborhoods. 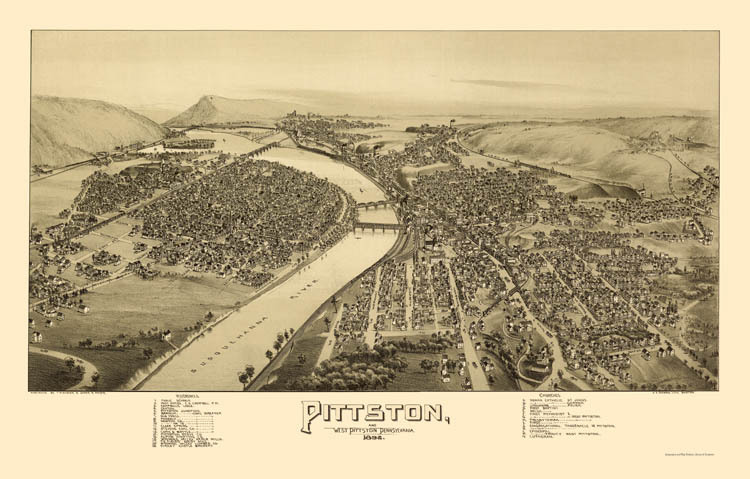 The population of Pittston boomed in the late 19th century. The boom continued well into the 20th century. The anthracite coal mining industry, and its extensive use of child labor in the early part of the 20th century, was one of the industries targeted by the National Child Labor Committee and its hired photographer, Lewis Hine. Many of Hine’s subjects were photographed in the mines and coal fields in and around Pittston between 1908 and 1912. The impact of the Hine photographs led to the enactment of child labor laws across the country. 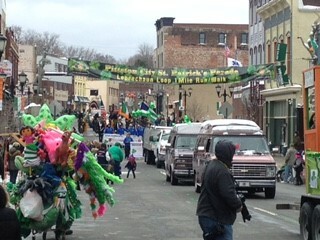 Coal mining is a dangerous industry and throughout the years disaster did strike on more than one occasion in Pittston. The first major tragedy occurred in the Newton Coal Company’s Twin Shaft Mine. 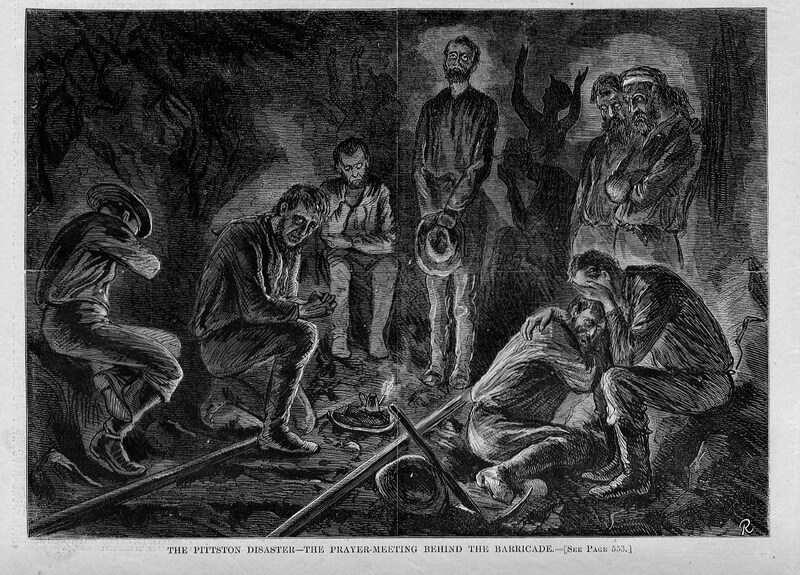 In the early morning hours of June 28, 1896, ninety miners were at work in the Red Ash Vein of the Newton Coal Company’s Twin Shaft Mine in Pittston. At 3:00 a.m., the roof quickly caved-in. The concussion from the explosion was so great that it was heard for miles around. The foundation of nearly every building in Pittston was shaken. The cave-in killed 58 miners including the city’s then-acting mayor, Michael J. Langan. Besides mining anthracite coal, Pittston was home to many industries in the 19th and 20th centuries, including metals, plastics, paper products, apparel, electrical equipment and beverages. The Pittston Stove Company, established in 1864, manufactured coal and wood-burning stoves for heating and cooking. The Pittston Brewing Company, brewers of Glennon’s Beer, maintained operations in Pittston from 1873 until 1948. Evan R. Jones Stoneware crafted pottery which bore the Pittston name in the 1870s and 1880s.